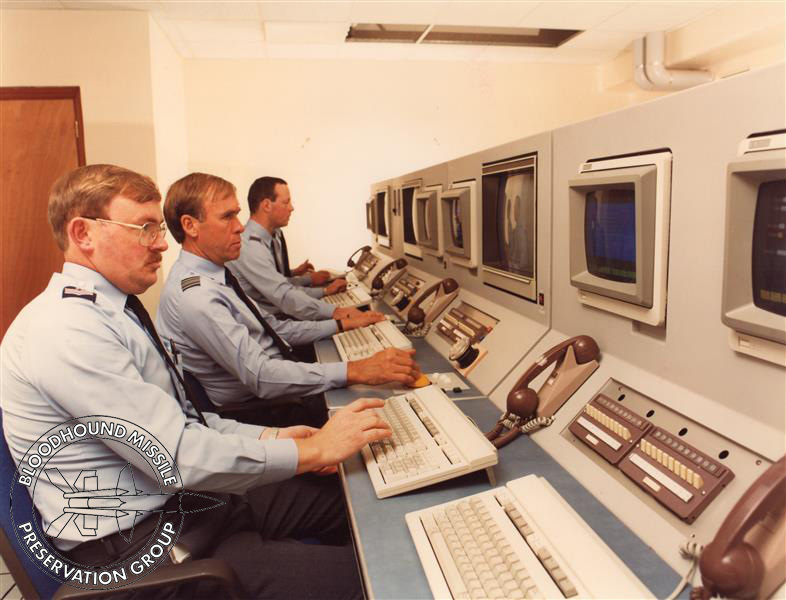 These photographs are from the effects of the late Wing Commander R R Wood (4186713), OC 85 Squadron 1985-1990, promoted to Wing Commander GD Branch on 2nd January 1990 (London Gazette). 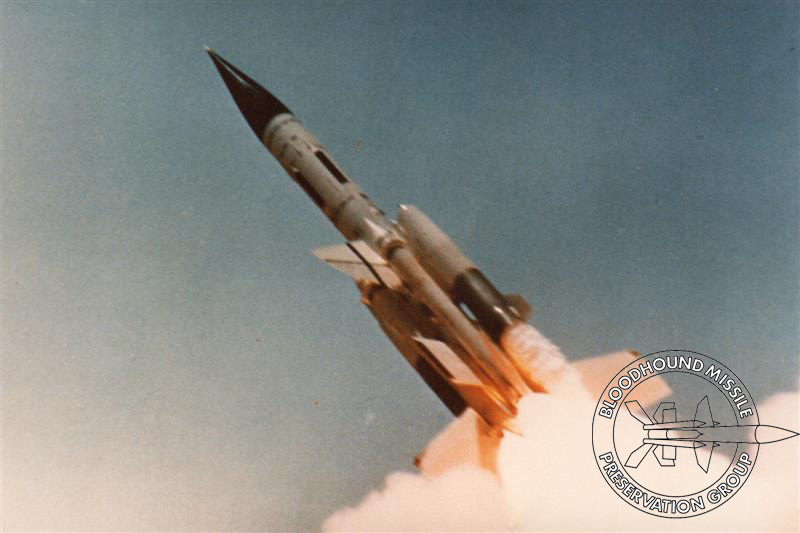 They were sent to us by Peter Lees and acknowledge him and his family for make these available for us to show. 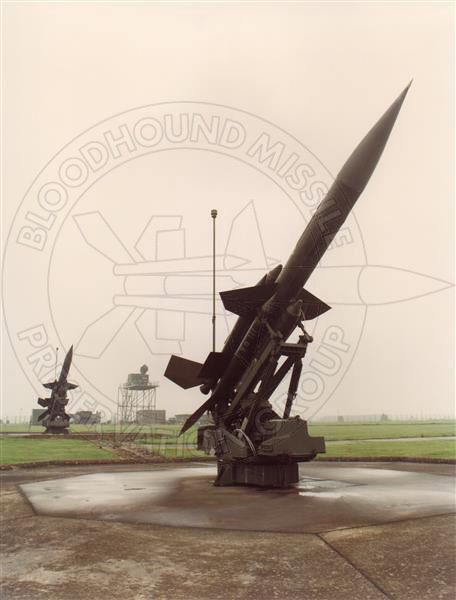 Two photographs of 85 Squadron's Black Section at RAF West Raynham. 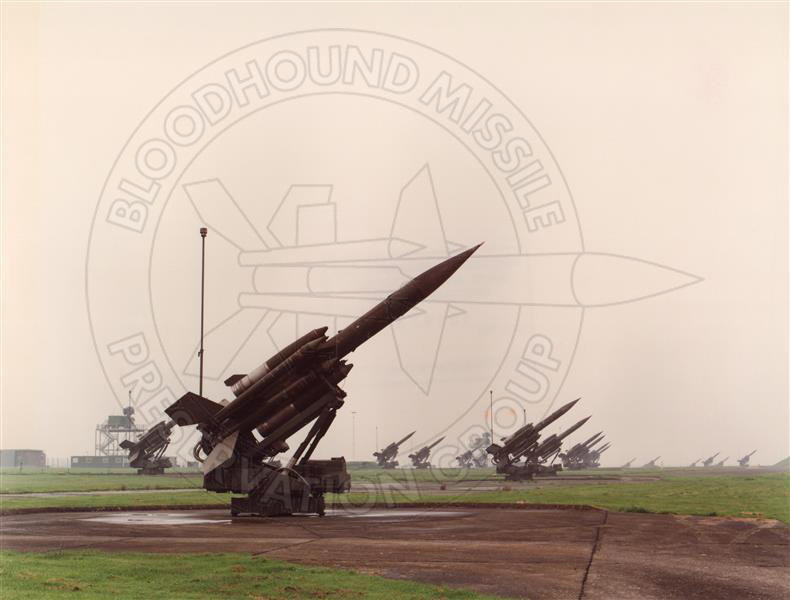 The Type 86 radar can be seen on its tower in the mist. 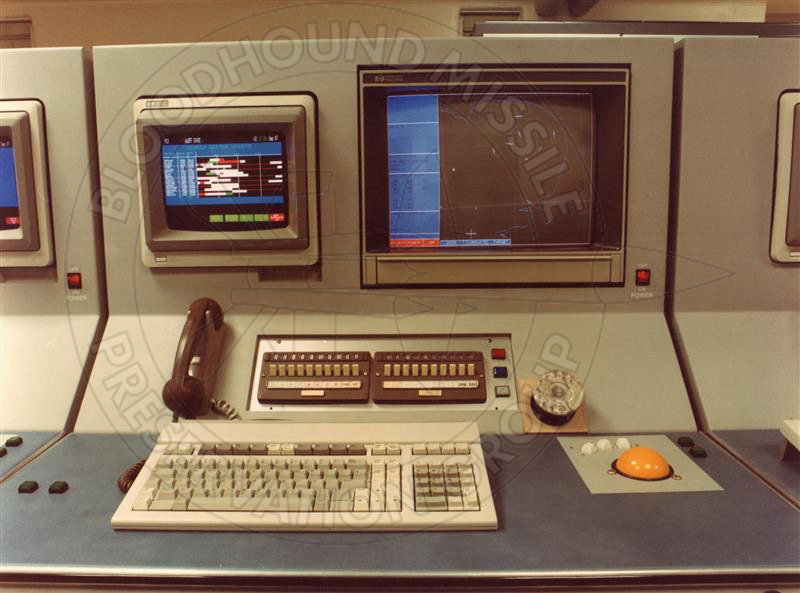 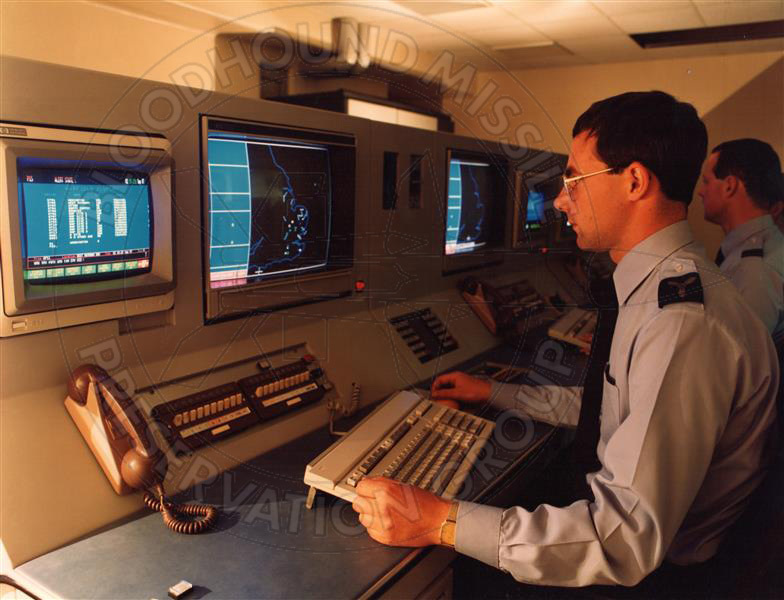 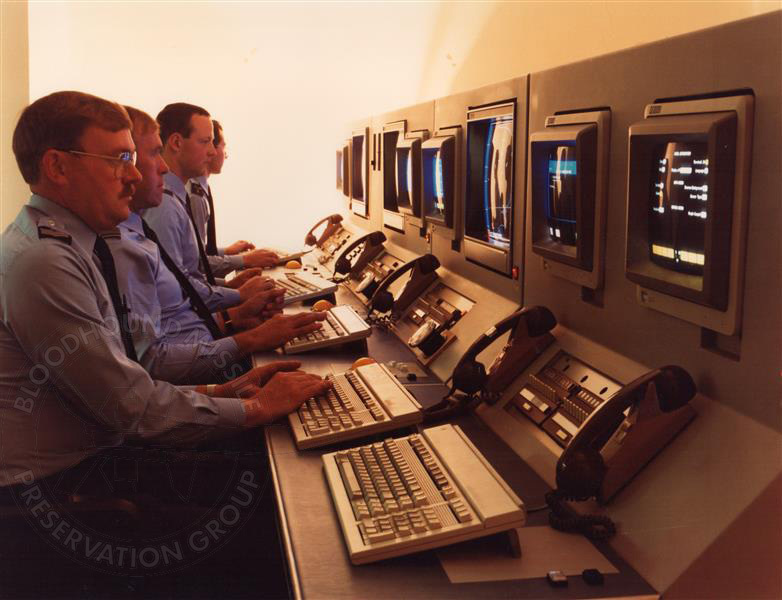 Five photographs 85 Sqn's Squadron Operations Room (SOR) Advanced Data Processing (ADP) system. 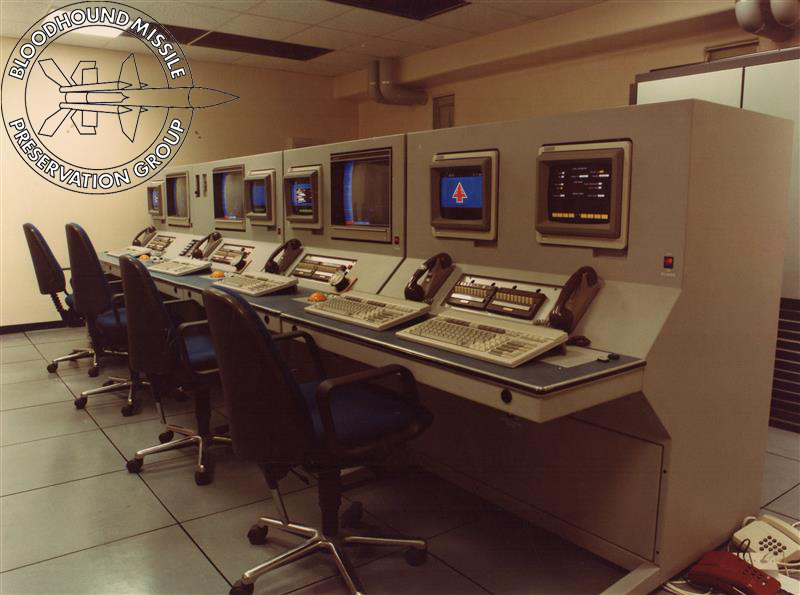 It allowed target and other data to be passed to all of the Squadron's Launch Control Posts digitally. 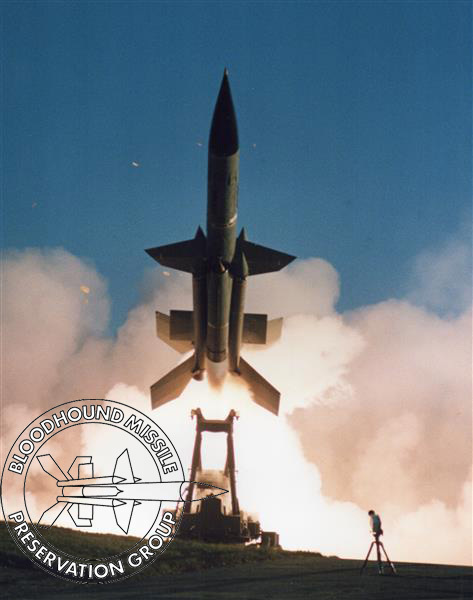 These firing photographs were taken at RAF Aberporth with the missile travelling over Cardigan Bay, not the Norfolk countryside! 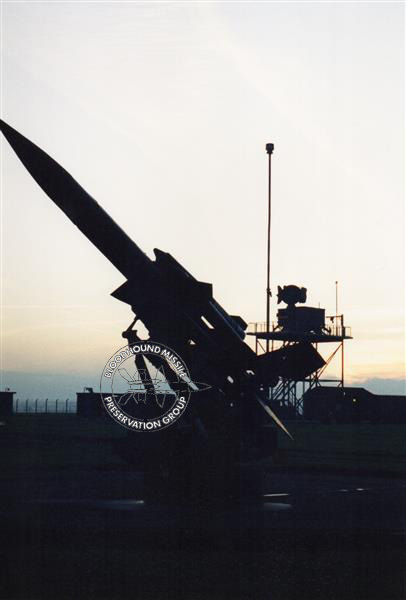 Final duty, a missile still ready for defensive action until 31 July 1991 when No. 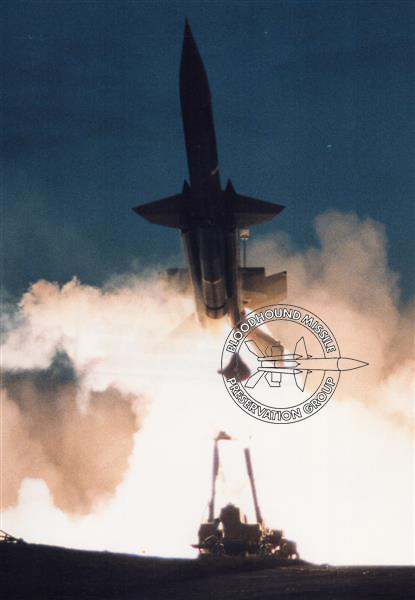 85 Squadron was disbanded which signalled the end of the Bloodhound 2 surface-to-air missile system in Royal Air Force service. 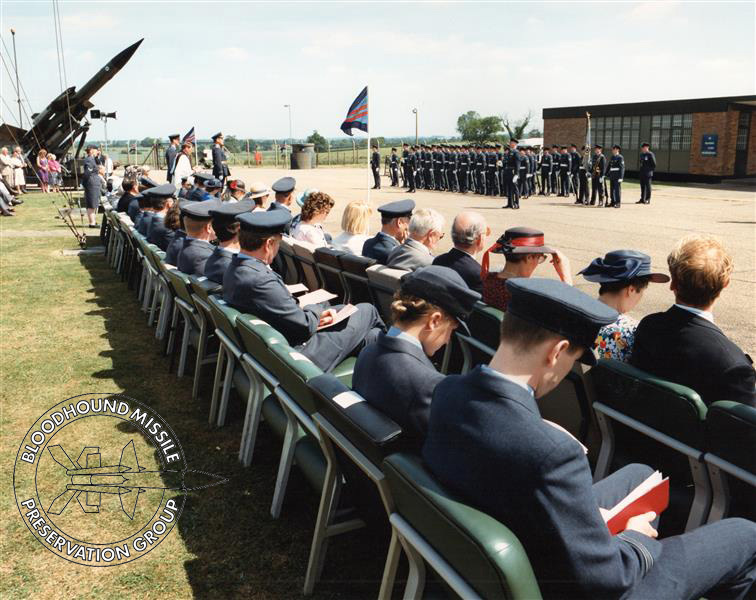 Here is the Stand-down parade taking place at RAF West Raynham with A Flight Headquarters to the right; the very first building on the left when entering the missile site.